Thanks everyone for the warm welcome. I've been here in the past when the main site shut down the server. Take care! Dayum GIRL! I haven't seen you in a MINUTE! Its good to see you pop in...hope to see you pop in more...I know I need to! Hey I'm just dropping by to say hello since I've been getting emails from this site lately. The layout of this site looks fantastic, and congrats on possibly being on George Lopez. I haven't been Michaeling lately or doing any type of forum posting, but I haven't forgotten about my fellow MJ fans. I hope the best for the SFL and the site cuz there's so many great features here and best of all, no trolling. 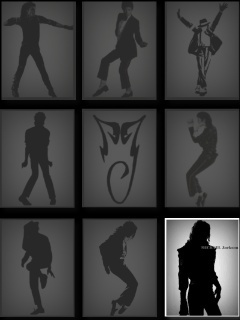 So here's to more hits and users to come here and celebrate the love of Michael. I will visit as time permits and post. Peace. Hi Chani! Thanks for stopping by! I wish I could take credit for the layout, LOL, but that was MJJ Mystress, who did a fantastic job! Hello Chani and welcome to SFL forum you are more then welcome to sit back and relax and celebrate our Beloved Michael. Thanks for visiting the forum! It's always great to read new members and dedicated fans of Michael Jackson. We really do appreciated the kind words and hope to read you here when time permits.